Each year on 9/11 in New York, the victims of the terrorist attacks that took place in the United States on September 11, 2001 are remembered. It is not a national holiday and seeing as it is deeply emotional for many people, it is a very sombre day. 9/11 is the anniversary of the attacks on September 11th, 2001. There were several attacks in the United States in 2001. On this date, four planes were hijacked, two of which were flown into the Twin Towers in New York, one into the Pentagon in Washington D.C. and one crashed into a field in Pennsylvania. The last plane was supposed to fly to Washington D.C. but the passengers aboard this flight overpowered the hijackers. What can you expect during 9/11 in New York? In the United States, the flags are flown at half-mast to honour and remember the deceased. The American President announces a moment of silence at 8:46, the time when the first plane hit the North Tower of the World Trade Center. Furthermore, there will be multiple ceremonies held in churches in the surrounding areas and at the 9/11 Museum. Families of the deceased will lay flowers at the memorial sites, such as the 9/11 Memorial. The 9/11 Museum is not open to the general public on this day. The 9/11 Memorial is open to the public from 15:00 until midnight for viewing of the ‘Tribute in Light’. One World Observatory has adjusted opening hours. 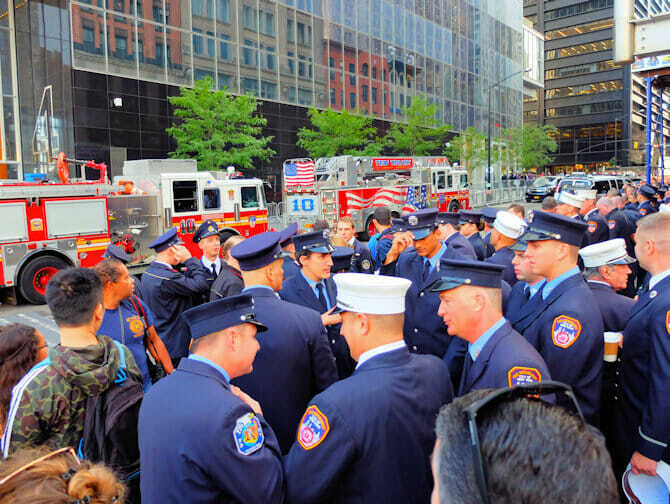 Eric’s Tip: On 9/11 many firefighters and police officers come together to commemorate the events. One of the assembly points is at O’Hara’s Pub, close to the World Trade Center. 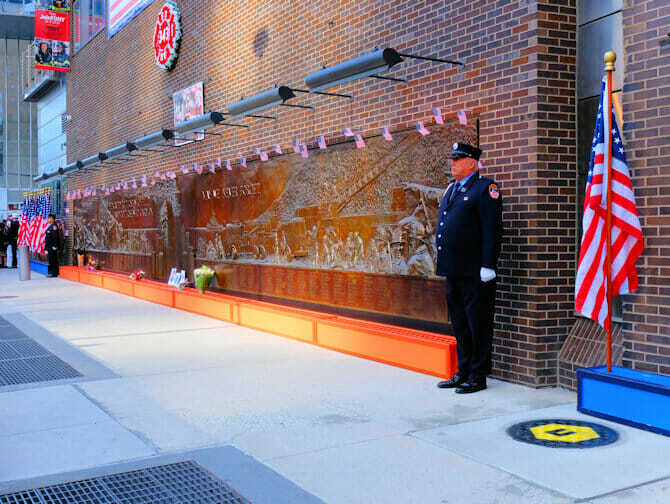 This begins early in the morning and is a special place to go have a drink if you are in New York on September 11th. 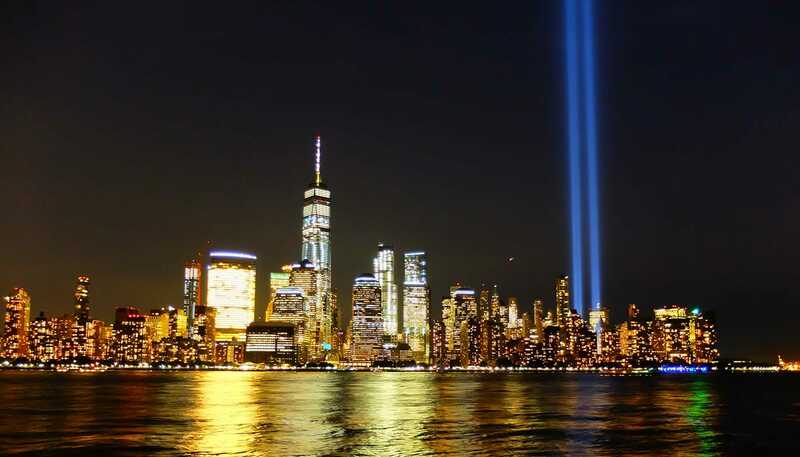 Every year on September 11th, the Tribute in Light is illuminated as soon as the sun goes down. The Tribute in Light takes place near to the location where the Twin Towers stood. It is a very moving sight and you can visit the area at night. A lot of people in the neighbourhood light a candle in remembrance and there is a solemn atmosphere.